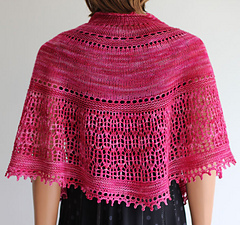 Velvet Rose is named to match the downy pink effect created by the gorgeous Wollmeise yarn in the original sample. 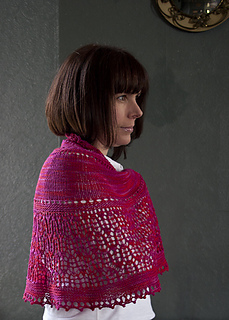 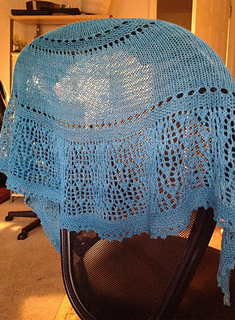 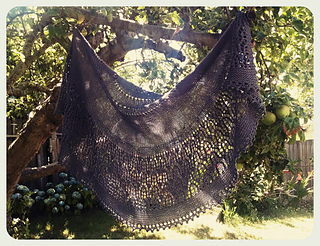 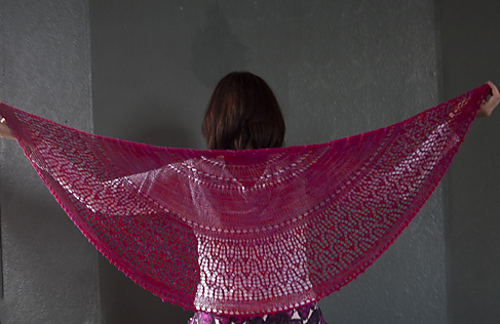 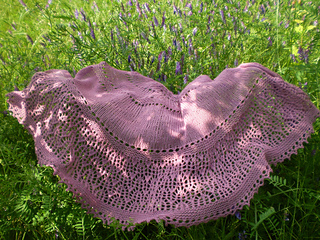 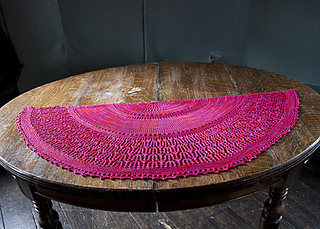 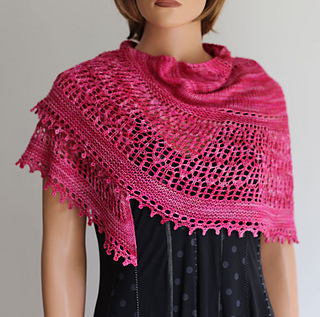 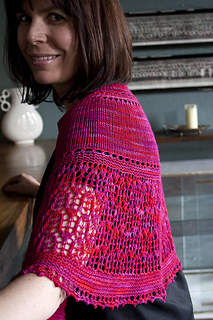 It is a delicate yet seductive shawl in a semicircular shape, created using sock weight yarn. 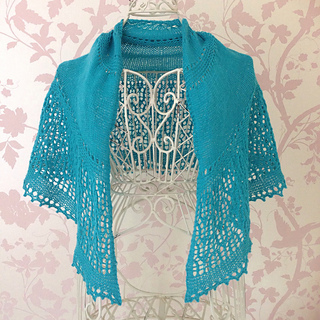 The deceptively intricate-looking lace panel is easy to memorise, making this shawl ideal for both an intermediate or adventurous beginner lace knitter. 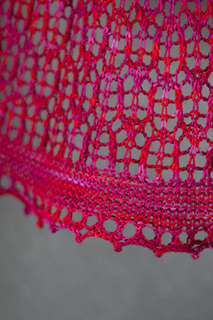 The picot bind off gives a beautifully eye-catching trim. 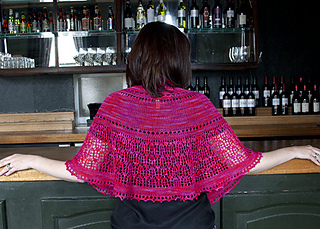 She may be demure rose, but she’s certainly no shrinking violet! 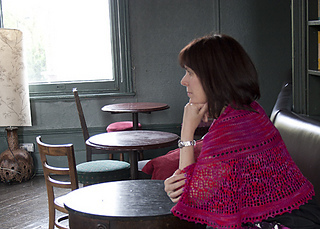 Tinkhickman, LouiseTilbrook, Stellacometa, LauraknitsPA, LaineSelect, RitaMiller, Dambird, Sanita60.